HIT! Cheap flights to USA: Los Angeles & Las Vegas for €333! British Airways now offer superb prices on combined ticket to West Coast of USA. 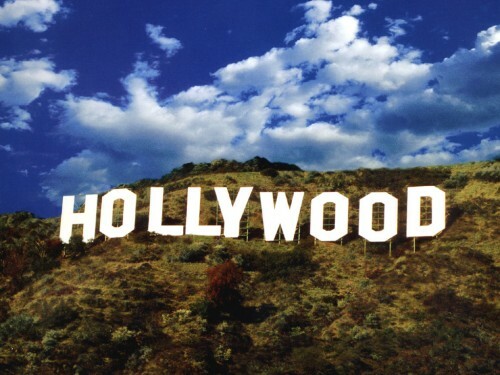 Multicity ticket Bergen (Norway) – Los Angeles / Las Vegas – Frankfurt is available for only €333! 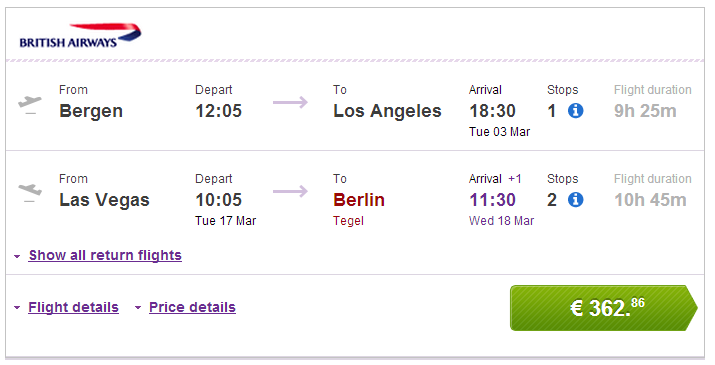 You can also fly from Gothenburg (Sweden) for €342 or return to Munich for €339, Berlin for €362 or Mancheter for €368! Other airports are also available for higher price. This is perfect opportunity for road trip around California which you can finish with a bit of gambling in Las Vegas! 23 kg luggage is included and transfers are perfect – short and efficient. 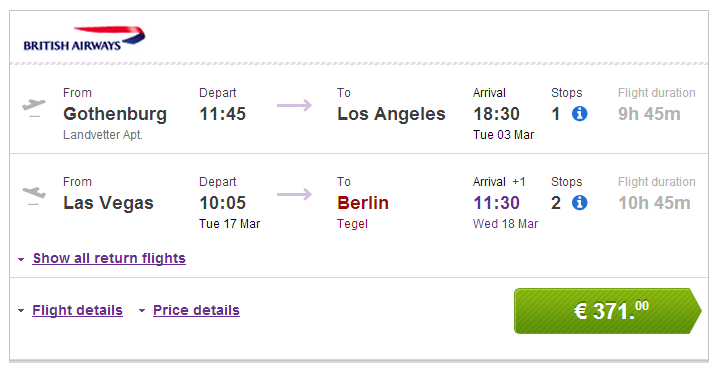 Book via BudgetAir (click on Show extra search options to enter return from Las Vegas to Berlin).